You'd think that increasing your click through rates and earnings on your web site would be a good thing that de-stresses you? Well, not if you are a Google AdSense publisher. A WebmasterWorld thread has a topic that comes up all too often. A publisher updated their design and now their CTR (click through rate) has drastically gone up. They are worried Google will take notice and consider the change fraudulent and then ban their account and withhold any future payments/earnings. I optimized one of my sites and made it responsive. 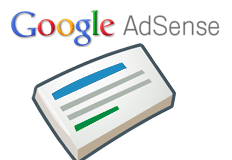 I noticed my adsense page CTR went from around 2% to 6-7%. Is this a good thing? Or should I be worried if the CTR is too high? is 6-7% considered high CTR? Some publishers said, no need to worry, while others said he should worry. One was right and said, don't worry, your CTR will drop back down soon enough and he was indeed right. But still, you see the fear publishers have when they monetize with Google AdSense. Changes in earnings and CTR, for the better, bring on added stress.